The winds of change are blowing through Silicon Valley. Clients are compelled to understand how to integrate Facebook, Twitter, Pinterest, Google+/Google Authorship and extend Search Engine Optimization by harnessing Social Media Optimization. It’s pretty simple. You have to a) set up accounts for your corporate digital assets at Facebook, Twitter, Pinterest, Google+ and b) inter-link content, pictures, tweet, posts between each social media property and c) add new content and links atleast weekly. Like any assets, the running costs of maintaining social media optimized websites is largely the variable cost of content production. Most clients find it hard to create original content faster for social media than a corporate website. So the economics are not only monetary but intellectual – that is, can you or your content contributor think of a good idea for an article, post, pin, tweet, picture, etc. That is one of the reasons clients work with us as SearchForecast provides ideas around new keyword discovery and help clients with a word analytics solution to measure word appearances, frequency and rank of words on websites. On Monday, September 23rd, Google made secure search the universal default. The Hummingbird algorithm update means that 100% of Google searches are now secure and Google Analytics will no longer provide user search query data to correlate keywords with site visits, revenue, and conversions. 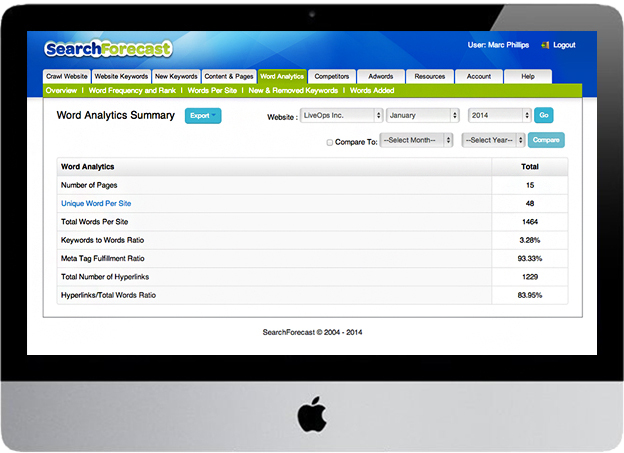 SearchForecast has created content roadmaps and added tens of thousands of content pages on client websites. 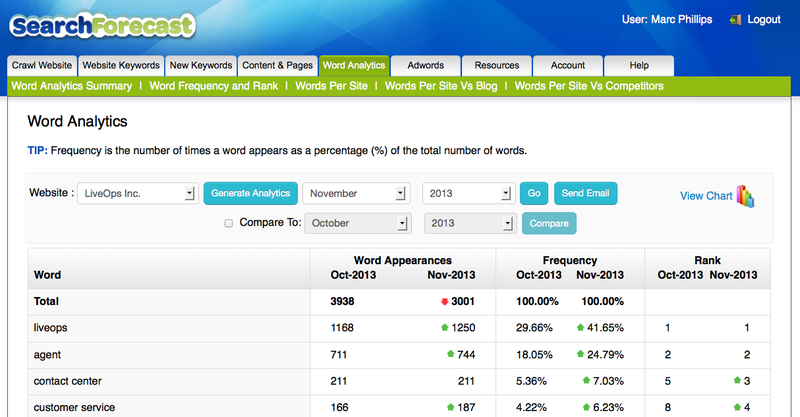 Our client benefit from Word Analytics.